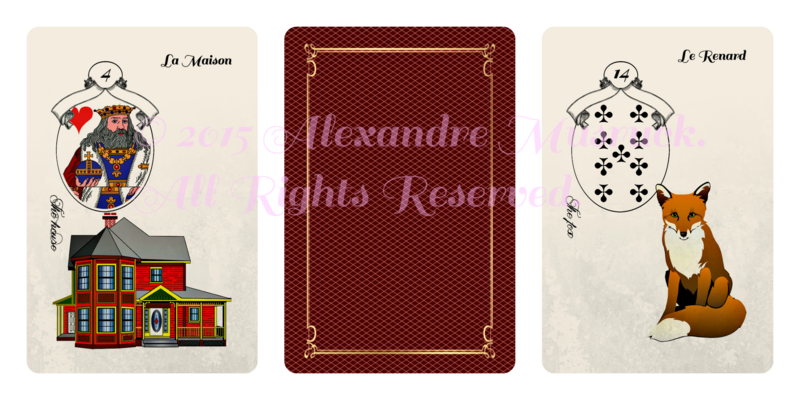 appealing deck with simple, clear and beautiful imagery, having all the qualities required for a genuine lenormand deck . Standard Bridge2.25”×3.5” (57mm×89mm) (36pcs)) / with PDF Meaning Sheet and guidebook / Packaging: Cardboard tuck Box . Another version with white background is also available. Standard Bridge Size cards2.25”×3.5” (57mm×89mm) (36pcs)) / with PDF Meaning Sheet and guidebook / Packaging: Cardboard tuck Box . Choose the Bundle Version: Card deck with Pouch.